It is no real secret to fans of my articles that a strong focus on quality PvP tends to equate to a strong online experience in my book. Fighting it out with other people is something that gets my blood pumping, and sometimes a game comes on my radar that shows real potential in this regard. Kingdoms Rise is a rising star in the field of true skill-based PvP. 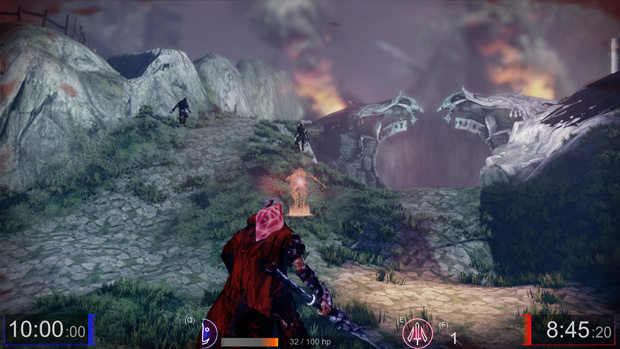 This multiplayer fantasy combat game as they would like to call it is an arena PvP title with a decent focus on customization, both aesthetically as well as in terms of your armor, weapons, and spells. First I would like to note that the state I played the game in is still early access. 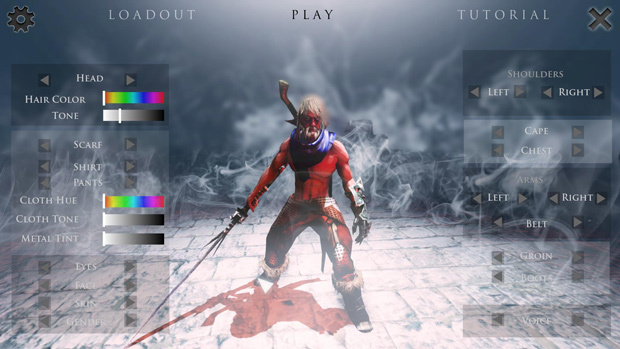 The game is not finished at all, and players will first notice this when navigating its unfinished menus. Some of the textures are still placeholders waiting to be polished up for distribution, but the core mechanics of the combat are in a playable state that exceeds most competition in this field. Kingdoms Rise has its own special style; it is hard to explain since it pulls inspiration from everything. Warcraft, Anime, Medieval Realism, and even a touch of Pixar all seems to be present. When it comes to the combat though, Kingdoms Rise is in a realm of its own. Before you play the game, you can customize your character. This is more a visual customization as you won’t find yourself being locked in any strict class progression system. From shiny metal to scarves, you can give your character any type of armor without worry of it influencing your speed, strength of defenses as it’s just representing your style. The armor itself seems to pull mostly from the style used during the Roman Empire. Perhaps this image of ancient imperialism lends itself well to the ambiance the game is building, and strikes strong emotions in most western gamers. But don’t mistake this for thinking Kingdoms Rise is all about authentic gear. You can find plenty of over the top armor including giant shoulder pads. The major focus is just giving you enough options to design someone unique from most everyone else, and plenty more options are in the works for launch. When I made my shining knight in armor with his beautiful red cape, I was ready to head into battle and to fight it out on my first day as a gladiator. Kingdoms Rise doesn’t trap you in the mentality of a hero or enslaved gladiator. You can fight for whatever you believe you’re fighting for, as just another man in a suit of metal, with a weapon and powers ready to slice through anyone that looks at you wrong. Before you head straight into battle, you can choose what type of weapon you want to use, including a secondary weapon to keep your foes guessing. This can be anything from bombs and throwing axes to a bow. You can also choose what kind of spells you want to use while fighting with other people. There’s quite a variety in-game already, ranging from completely offensive to defensive. 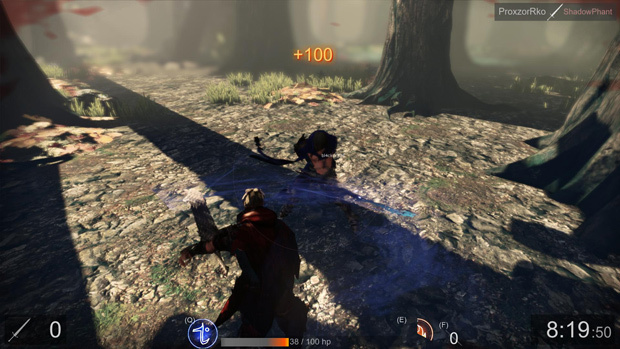 Some allow you to shoot a fire ball for example, and some help you to heal or gain distance from your opponent to recover. 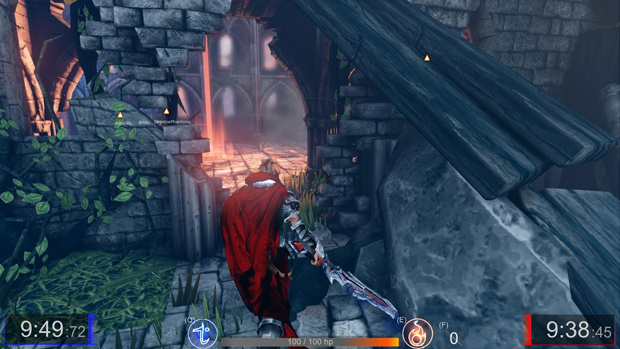 I personally liked the combination of healing and teleportation; the teleportation spell itself really helps you to parkour through the map, surprising unaware opponents with a sword to their back before they have time to brace for impact. There are basically all sorts of spells to trick your enemies with, and I really like the different styles you can use to kill your enemy with. These spells raise the skill ceiling quite a bit and differentiate playstyle between players more than most anything else in the game. The 360 degrees fighting system is the key to making Kingdoms Rise’ gladiatorial battles so intense. As of now I haven’t really felt a lot of difference in the weapons that you can pick, so I can’t comment on what weapon works best for certain fighting styles. But I can say that learning how to cross swords with this system takes some practice. When fighting with other players, you will notice that aiming your sword swings is important, simply targeting your enemy and slicing your way forward isn’t going to cut it. 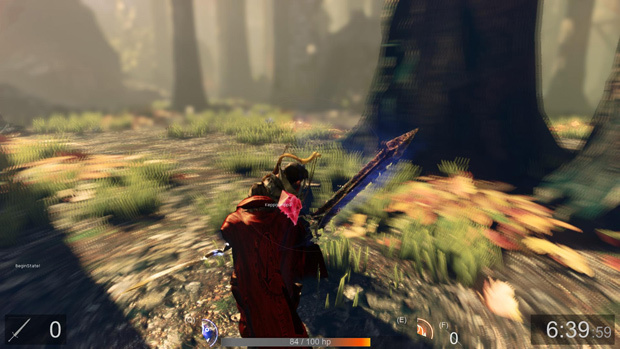 If you need to parry attacks or perhaps even block your attacks, you have to move your character in the direction so he is able to block or dodge the incoming attack. Mindlessly clicking your mouse tends to just leave you filled with openings, and filled with holes if your opponent knows what they are doing. 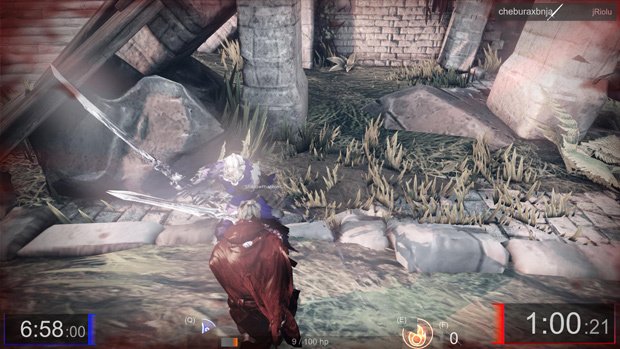 If rapid reaction to melee strikes isn’t your cup of tea, you can try to disable your foes from a distance with bows and magic. But this also makes you quite vulnerable, especially if your opponent is packing a teleportation spell and can quickly close distance to you. I don’t advise blocking a fast moving sheet of steel with your wooden bent stick. Like I said, the game is still in early access. But the only area the game is seriously lacking in is the polish of its menus and UI. The textures still look really basic, but when looking at the overall picture there is a lot of beauty to be seen. Many of the maps you will fight on have a heavy atmosphere and help put you in the shoes of your gladiator. Currently there aren’t many game modes apart from the basics like deathmatch, team deathmatch, and capture the flag modes. This game has a lot of potential, and I have to admit that I had a great time when I tried it out, especially the unique combat system that Kingdoms Rise features. PvP freaks like me will love the visceral feel of your shield narrowly deflecting a killing sword strike. This innovative game is definitely unique, and has the potential to do great things in the future if their launch is successful. But if you are more of a PvE player or just have a serious pet peeve towards unfinished UI, bide your time until the official launch. Despite the bugs though, it’s still worth the purchase to get into early access, and certainly more fun than most games on the market right now. Currently there’s a 20% off holiday sale going for the next 40 hours so now is the time to check it out!